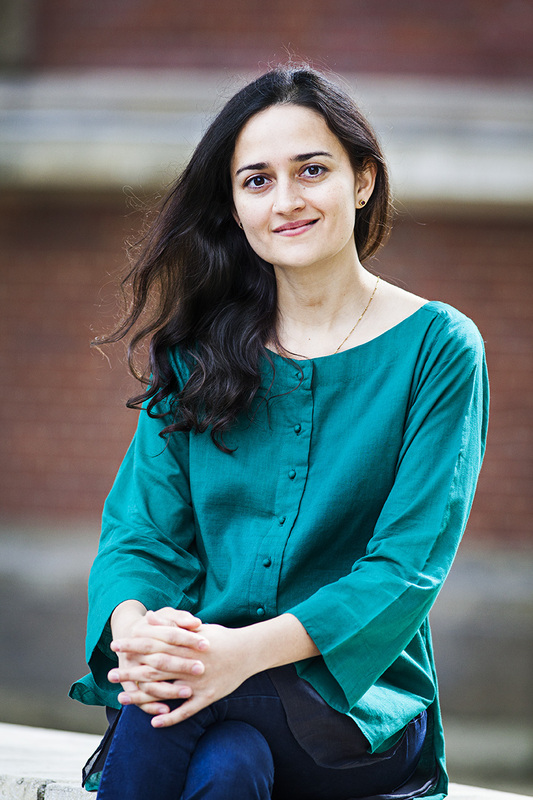 Saskya Jain holds an MFA in Fiction from Boston University, where she received the Florence Engel Randall Award and the Robert Pinsky Global Fellowship. Her writing has appeared in numerous literary magazines, and one of her stories was a finalist in the 2011 Asian-American Short Story Contest. She lives in New Delhi and Berlin. Fire Under Ash is her first novel. When Ashwin, a wealthy Delhi boy, meets Lallan, a struggling student from Patna looking to make his fortune, their friendship, with their mutual love for the almond-eyed Mallika, seems to transcend the fault lines of class and privilege. But one night at a party, a fateful incident leads their worlds to unravel with consequences that change both their lives forever, and exposes the deep turmoil inherent in the frenetic energy of the new, aspiring India. tgbc: Why the title ‘Fire Under Ash’? Saskya: The image of a fire burning under a layer of cold ash appears several times in the book. It suggests a larger force brewing under what seems like a calm surface, and you know it’s going to erupt sooner or later. For me, that image encapsulates today’s Delhi. tgbc: What was the inspiration for the story? Saskya: It was really Delhi that inspired this book—how people arrive in the city, how they settle there and what happens to them once they leave. Until very recently, there were hardly any novels in English about the whole phenomenon of Delhi of the last fifteen or twenty years. So the book explores what it means to come to Delhi as an outsider, which is what the character Lallan experiences when he arrives in the capital as a scholarship student from Patna and befriends Ashwin, who is from a very wealthy Delhi family. It’s about how far you can push a friendship and mutual fascination between two men of very different backgrounds. Meanwhile, Ashwin’s older sister Meera struggles to live the high-achieving expatriate life in New York that’s expected of her and coming to terms with her increasingly fragile ties to Delhi. 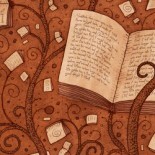 tgbc: Both Meera and Ash keep diaries of small nothings that they note. How does that tie into their stories and choices? Saskya: Meera’s understanding and practice of poetry is very intimate and, for better or worse, remains that way. She, for different reasons than Lallan, never develops the confidence to openly declare her intellectual ambitions, especially not with Ashwin’s ease. There’s a narcissistic element to Ashwin’s obsession with notes that is absent in Mallika’s habit, which for her is more therapeutic and very personal. tgbc: What does Lallan signify in the story? Saskya: Lallan is particularly close to my heart. I relate to the experience of feeling desperately trapped in a situation, be it literally, as when Lallan goes to jail, or metaphorically, when he is falsely led to believe that a certain path he’s taken is now inevitable or irrevocable. The fact that Lallan neglects to see the dying vultures in Delhi as a bad omen says a lot about his character—and about what it takes to truly break away from the paths set out for us when we have limited means. Saskya: To name just a few: Naipaul, Nabokov, Vijay Sheshadri, Arun Kolatkar, Richard Yates, Richard Price, Jennifer Egan, and two of my favourite works for many years, The Shahnameh and The Canterbury Tales. Saskya: I turn to a book by one of the writers mentioned above. Reading great fiction or poetry always helps me put things in perspective. tgbc: If Fire Under Ash became a movie who would be your actors of choice? Saskya: Don’t think I haven’t thought about this! So, Riz Ahmed as Ashwin, the young Antony Perkins as Lallan, Kangana Ranaut as Meera and a fresh face as Mallika. Meera Nair and Dibakar Banerjee are co-directing, of course. tgbc: What is your regular working/writing day? Saskya: I wake up early and go straight to my desk. I work on until about noon. The rest of the day I engage in other bread-earning activities, e.g. my editing job and translations. Sometimes, when I’m in the thick of something, I’ll add an hour or so in the evening. I need that daily structure to write anything, and I’m much more unfocused and prone to procrastination when I have to break that routine, e.g. because of travels. Saskya: That depends on where I am. In Delhi, definitely golgappe. In Berlin, a big slice of raspberry cream cake. Saskya: I’ve started working on my new book, another novel set in Delhi. It’s messy right now, so ask me again in a year! This entry was posted on January 17, 2015 by Preeti Singh in Interview, Interviews and tagged Delhi, Fire Under Ash, Saskya Jain.